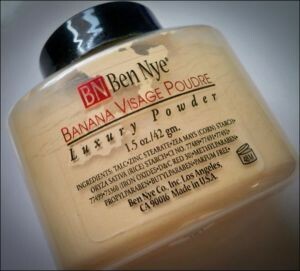 Banana Luxury Powder by Ben Nye Makeup Micro-Milled for a silky texture, Luxury Powders is translucent with just a hint of color with superior matte finish. 50 to 125 applications per 1.5 oz. 3 oz. container.